Cleaning is a necessity of life. Whether you do it yourself, barter with your kids to do it, or pay to have cleaners come and do it, it needs to be done. 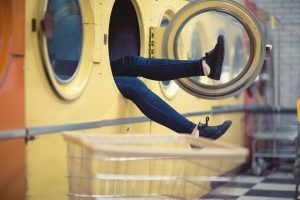 But did you know that there are some awesome and weird things you can do to clean and make cleaning a hell of a lot easier, and quicker? These cleaning methods are odd but they just might be your new favorite thing. Yes, your dishwasher is perfect for your dishes, but did you know that it can do so much more? You can use it to wash toys, flip-flops, combs, kitchen brushes and sponges, and keys. You can even clean your coffee machine with it! Place the coffee maker, upside down, in the dishwasher and wash it on the gentle cycle. Just make sure you let it dry out completely before you plug it back in! Your washer is another amazing appliance to use for more than its purpose, to wash clothes. You can use it for stuffed animals, small toys, and even small rugs and mats. You can also throw your gym shoes, backpacks and even shower curtains and liners in there. It works great to get all that soap scum off! My mom cleaned everything with vinegar when I was little, and for that matter, she still does! 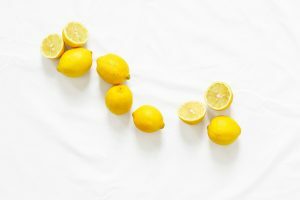 Vinegar and baking soda is an amazing and natural combination and one of many cleaners that will get your house sparkling, if you only let it. You can clean all these things with vinegar and baking soda: bathroom and kitchen sink, bathtub, shower stalls, and toilets. Not to mention, if you use natural sponges as loofahs in the shower, you can clean them out very well with this combination, too. In addition to the things you can clean with vinegar as a part of the cleaner, vinegar is a great cleaning solution all on its own. Use vinegar to clean windows, counter tops, and stainless steel appliances. You can also use it as a laundry booster, just add a small splash. It works great as a fridge cleaner, too. This may be the oddest thing to use to clean yet. But it’s true! Actually, some vegetables work, too. An onion can be rubbed (with the grate) along the grill to clean it off. But back to fruits, lemons are so great when it comes to cleaning! Not only do they smell fresh and bright but they disinfect, too. And banana peels are perfect for your plants! They need to be cleaned so that they can get the Oxygen and light they need from the environment. Just use the pith side of the peel to wipe off and polish the leaves. A little TLC for your plant friends. Use artificial sweeteners on grease stains! The powder absorbs the oil and then blot. Repeat of needed. Ink on your clothes? Use milk! Yup, the stuff you grew up on. Just soak your clothing in a milk bath overnight and then wash it the next day as usual. You can also squirt hairspray on ink and boom, gone. Tomato sauce on your shirt? Use shaving cream. Spray it on the stain, rub it gently and let it dry as normal. This method also works on carpet. These cleaners are weird, odd, and you might not believe it. But they work well and you should try them out!